In the garage of Peter Rive’s San Francisco home is a battery pack. It is not connected to Mr. Rive’s electric Tesla Roadster sports car, but to the power grid. The California Public Utilities Commission has awarded $1.8 million to Mr. Rive’s company, SolarCity, a residential photovoltaic panel installer, to research the feasibility of storing electricity generated by rooftop solar arrays in batteries. As rooftop solar systems provide a growing percentage of electricity to California’s grid, regulators and utilities are increasingly concerned about how to balance the intermittent nature of that power with demand. One possible solution is to store energy generated by solar arrays in batteries and other systems and then feed that electricity to the grid when, say, a cloudy day results in a drop in power production. And when demand peaks, electricity generated from renewable sources could be dispatched from batteries rather than fossil-fuel burning power plants. “As soon as distributed solar starts providing 5 to 10 percent of demand, its intermittent nature will need to be addressed,” said Mr. Rive, who is SolarCity’s co-founder and chief operating officer. SolarCity is teaming with Tesla Motors, the Silicon Valley electric car company run by Mr. Rive’s cousin, Elon Musk, and the University of California, Berkeley, to study how to integrate solar arrays and off-the-shelf Tesla lithium-ion battery backs into the grid. SolarCity plans to put such systems in six homes. Homeowners could potentially benefit by tapping batteries at hours when electricity rates are high or using them to provide backup power if the grid goes down. The research has just begun, and at the moment SolarCity is testing the impact of charging and discharging electricity from the Tesla battery pack in Mr. Rive’s garage. His roof sports a three-kilowatt solar array. “We’re at the point now where we can direct the battery to charge and discharge at specific times by sending a signal over the Internet,” Mr. Rive said. Included in the $14.6 million awarded for solar energy storage research by the utilities commission was $1.9 million to SunPower for a project that will store in ice and batteries electricity generated by solar arrays at Target stores. SunPower, a Silicon Valley solar panel manufacturer and power plant developer, will work with Ice Energy, a Colorado company that makes systems that use electricity when rates are low to form ice. When rates are high, air conditioning refrigerant is cooled by the melting ice rather than by an electricity-hogging compressor. The Ice Bear system and a solar array will be installed at one Target store while battery packs will be used at two other stores in California. You can read the rest of the story here. I wrote this story for Grist, where it first appeared. It’s been a big week for Big Solar. On Wednesday, the California Energy Commission approved a license for the nation’s first new large-scale solar thermal power plant in two decades. Over the next month, the energy commission is expected to green-light three more big solar farms to be built in the Mojave Desert. The projects would collectively generate nearly 2,000 megawatts of electricity. At peak output, that’s the equivalent of a couple of large nuclear power plants. Less noticed but equally momentous were developments this week on the small-scale solar front. On Tuesday, an administrative law judge with the California Public Utilities Commission (CPUC) issued a proposed decision that would establish a world-first reverse auction system for renewable energy projects. The idea is to build 1,000 megawatts of decentralized energy generation by allowing developers to bid on projects that would each produce between one and 20 megawatts of electricity. Projects could include small solar farms built on vacant suburban land, or photovoltaic arrays placed on top of wastewater treatment plants or on any other large structures with unused rooftop space. Think of it as eBay for green energy. The goal is to accelerate the market for small-scale photovoltaic systems by requiring California’s three big investor-owned utilities to hold auctions twice a year where developers bid on projects that can be built quickly — within 18 months — and plugged into the existing power grid. By letting the market essentially determine electricity prices rather than the government setting a premium rate to be paid for renewable energy, California hopes to avoid the boom-and-bust cycles that have whipsawed the European solar industry when subsidies have been cut. While the program would initially set up an auction for 1,000 megawatts, administrative law judge Burton W. Mattson wrote in his decision that that cap could be raised in the future if the auction system is successful. The proposed decision now needs the approval of the CPUC, which seems a foregone conclusion. 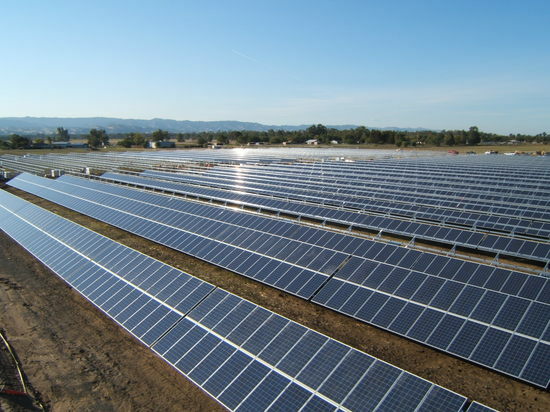 In a sign that there will be no shortage of bidders for solar projects, utility Southern California Edison this week submitted for regulatory approval contracts for eight distributed photovoltaic farms that would generate a total of 140 megawatts. Most of the mini-power plants will generate 20 megawatts and can be located near utility substations, avoiding the need for expensive new transmission projects. Southern California Edison also requested approval of contracts for two small biomass power plants and three wind energy projects, one of which will generate 4 megawatts while the other two would each produce 20 megawatts at peak output. Altogether the power purchase agreements are worth $556 million. The utility said that while it was soliciting contracts for a total of 250 megawatts, it received applications to build projects that would generate nearly twice that amount of electricity. This post first appeared on Grist. With the first mass-market electric cars set to hit California roads later this year, the state’s utilities have been working to ensure that early adopters – who tend to be clustered in places like Berkeley and Santa Monica – don’t overload neighborhood transformers and trigger local blackouts. One way to do that is to encourage drivers not to plug in all at the same time, say when they arrive home from work and also crank up the air conditioning, is to set variable electricity rates that reward those who wait to charge until demand falls late at night or the wee hours of the morning. What is unknown is whether such rates will actually change anyone’s behavior. We’re about to find out. On Thursday, the California Public Utilities Commission approved a pilot project proposed by San Diego Gas & Electric to set variable rates for electric car charging. “This information is critically important as we contemplate a future with widespread electric vehicle usage, given the additional electricity demand these vehicles create and the associated impacts on the grid,” Michael Peevey, the utilities commission president, said in a statement. The project, which kicks off in January, will accompany the roll out of 1,000 Nissan Leaf electric cars in the San Diego area and the installation of home charging stations for each driver. Some 1,500 public charging stations will also be installed as well as 50 fast chargers that allow the cars’ batteries to be topped off in a matter of minutes rather than hours. The San Diego effort is part of program backed by the United States Department of Energy called the EV Project that will put 5,700 Leafs and 2,600 Chevrolet Volts in garages in five states along with 14,650 charging stations and 310 fast chargers. 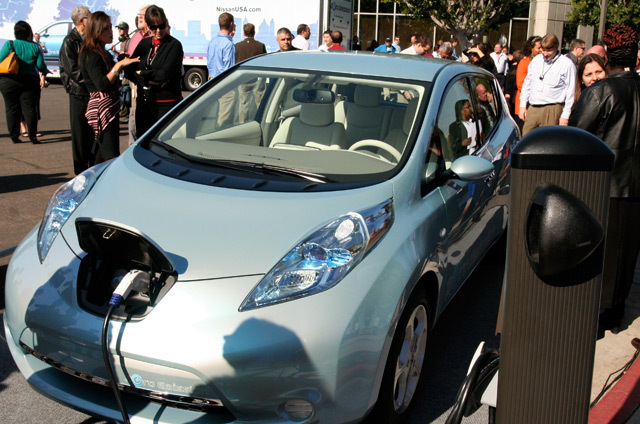 Under the plan greenlighted by California regulators on Thursday, San Diego Gas & Electric will bill Nissan Leaf drivers a range of rates, from a low of 7 cents a kilowatt/hour for summer “super off peak” charging to a high of 38 cents a kilowatt/hour during peak summer demand. So will someone who has forked over $109,000 for a Tesla Roadster care about saving 31 cents a kilowatt hour? Probably not. What about the middle-of-the-road buyer of a $20,000 (after tax incentives) Nissan Leaf? Maybe. But survey data that a California utility executive recently shared with me was not encouraging. Polling of likely electric car buyers showed that they were not particularly charged up about the prospect of saving money by delaying their EV gratification. Another solution is smart charging. Drivers plug in when they get home but the charger communicates with the power grid to determine the optimal time to flip the switch. That requires a smart grid and the California Public Utilities Commission on Thursday also approved a comprehensive plan to digitalize the state’s power system. The California Assembly has passed legislation that takes the first step to requiring that a percentage of electricity generated in the state be stored. Electricity, of course, is the ultimate perishable commodity. If the bill is approved by the California Senate and signed by Gov. Arnold Schwarzenegger, it would apparently be the first time a state will move toward mandating that electricity generated by wind farms, solar power plants, and other intermittent sources be stored for use during peak demand. That’s key if California is to meet its ambitious mandates to obtain 33 percent of its electricity from renewable sources by 2020. Sponsored by Assembly member Nancy Skinner, a Berkeley Democrat, the bill has been watered down to make it palatable to the state’s utilities and regulators. It originally required the state’s utilities to obtain energy storage systems capable of providing at least 2.25 percent of average peak electrical demand by 2014. By 2020 the target would rise to at least 5 percent. The latest version of the bill now wending its way through the state Senate requires the California Public Utilities Commission to open proceedings on energy storage and by October 2013 to adopt an initial target — if appropriate — for utilities to meet by the end of 2015. California Attorney General Jerry Brown, the Democratic candidate for governor, is sponsoring the legislation, which is backed, not surprisingly, by the renewable energy industry and venture capitalists. Utilities spend billions of dollars building so-called peaker plants that operate just hours a year to supply electricity and avoid blackouts when demand spikes — say, on a hot day when everyone cranks up their air conditioners. Such costs — and greenhouse gas emissions — could be cut or reduced if electricity stored from wind farms or solar power plants could be dispatched when demand rises. Without storage, more natural gas power plants or hydroelectric facilities would need to be built to smooth out grid operations as increasing amounts of solar and wind energy comes online, according to the report prepared by Kema, an energy consulting firm. “Storage can be up to two to three times as effective as adding a combustion turbine to the system,” the report stated. 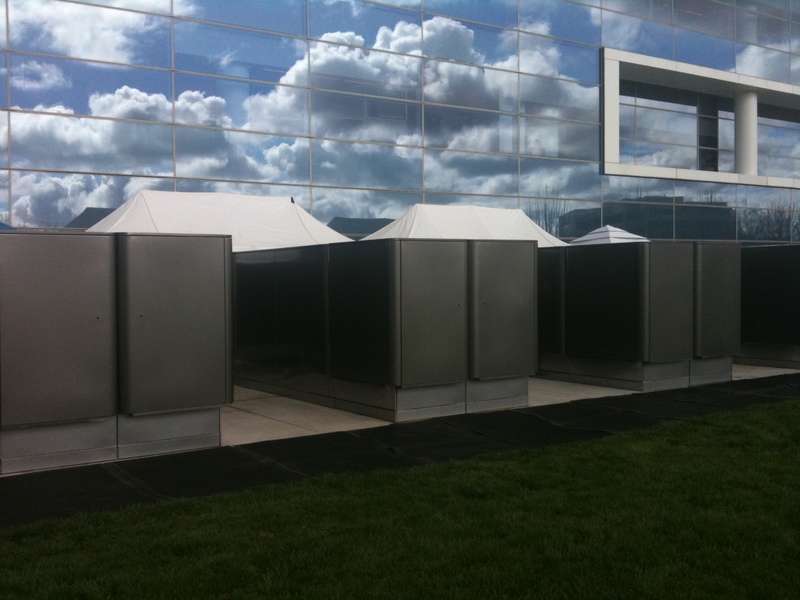 The cost and feasibility of such storage systems is another matter, as it remains a nascent industry. Most efforts focus on using batteries or mechanical systems like flywheels to store electricity. California utility PG&E has launched a pilot project to store electricity in the form of compressed air. Some developers of solar power plants intend to use molten salt to capture heat that can be released and used to drive an electricity-generating turbine after the soon goes down. While Google, Wal-Mart and other corporations have embraced fuel cells, California regulators have turned down requests from the state’s two biggest utilities to install the technology. In a preliminary decision, an administrative law judge with the California Public Utilities Commission found unwarranted an application from Pacific Gas and Electric and Southern California to spend more than $43 million to install fuel cells that would generate six megawatts of electricity. The technology transforms hydrogen, natural gas or other fuels into electricity through an electrochemical process, emitting fewer or no pollutants, depending on the type of fuel used. California regulators on Thursday went where no regulators have gone before — approving a utility contract for the nation’s first space-based solar power plant. 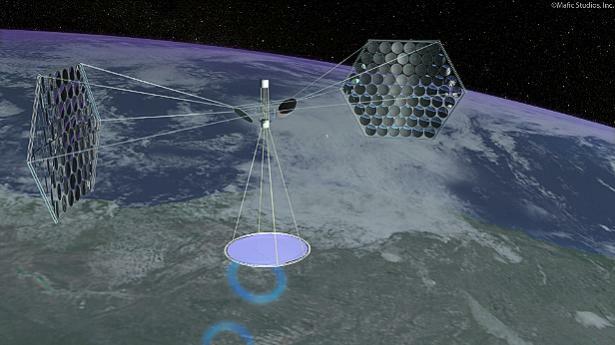 The 200-megawatt orbiting solar farm would convert solar energy collected in space into radio frequency waves, which would be beamed to a ground station near Fresno, Calif. The radio waves would then be transformed back into electricity and fed into the power grid. A Southern California startup called Solaren will loft components for the solar power plant into orbit and sell the electricity it generates to Pacific Gas & Electric, the major utility in northern California, under a 15-year contract. The project is supposed to be turned on in 2016. With electric cars set to hit the mass market next year, a skirmish is breaking out in California over who will control the state’s electric vehicle infrastructure. The California Public Utilities Commission will write the rules of the electric road and is just starting to grapple with the complex regulatory issues surrounding the integration of battery-powered cars into the state’s electrical grid. One of the biggest questions is whether to regulate Better Place, Coulomb Technologies and other companies that plan to sell electricity to drivers through a network of battery charging stations. California’s three big investor-owned utilities have split over the issue. Southern California Edison, meanwhile, urged the commission to move cautiously, calibrating any regulation to the specific business models of the companies. San Diego Gas & Electric said the commission does not have the right to regulate companies like Better Place.